5-10yrs/1,00,000-2,00,000 km coverage. For taxi or commercial usage cost calculations are projected till 300000km. Economy conscious Indian market is pulling many auto manufacturers out of their shoes to perform better on operating cost front. Over the years Toyota has built a brand by stepping up the ladder gradually towards hassle free low maintenance cost, the same has been reflected in Toyota cars residual value. Depreciation cost is the biggest component of carrying cost. People tend to realize the residual value of the car when they evaluate while selling. Every year around 20 to 25 new models gets launched & so the old customer tends to think about upgrading with a new one. In a survey, in US for every new car sold, around 3 used cars are sold. Similarly in Europe this ratio is 1:2 while in India it is 1:1.5 & expected to become 1:1.7 in coming few years. On an average cars depreciate by 15-20% of their ex-showroom value in 1st year of ownership. Toyota’s are best known for reliability in taxi market & so has a good residual or resale value of the car i.e. the depreciation cost is very low. Bcoz of the huge resale market growing in india many OEMs jumped into the resale market by setting up new stores with the likes of Mahindra First Choice, Maruti True Value, Tata Motors Assured etc, in order to boost the residual value of their own product & to encash the booming market. Quality, reliability, brand reputation and facts like the duration and coverage of the warranty affect this desirability. 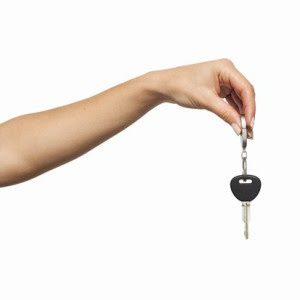 They combine to give the used car buyer confidence that the vehicle will not breakdown and will be inexpensive to run. The buyer will pay more for such a vehicle. So don’t just look at the price you pay for your car, but also the price for which you’ll be able to sell in the future.